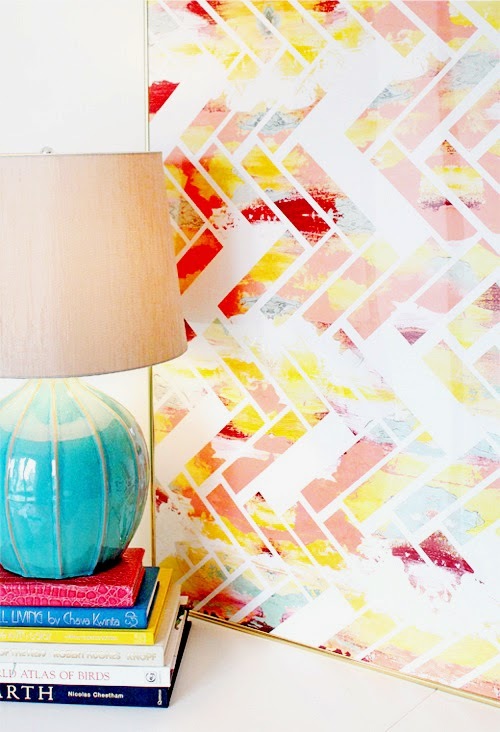 Are you trying to figure out how to spruce up those bare walls? Don’t quite know what types of pictures to put above your couch in the living room? Or maybe you’re just looking to redecorate. Here’s two quick and inexpensive ways to change up the scenery on your walls using canvas prints. What’s your favorite view? Do you love birds, plates, or skylines? Maybe you’ve got some fun family photos to display. Whatever catches your fancy, find (or take) pictures of your favorite views, blow them up and print them on canvases of different sizes. Then group them together on the wall for display. You can make them all black and white, completely different colors, or use just a single color. Because the prints are different sizes the display won’t be symmetrical, but that’s part of the charm. Another idea is to print up nine of the same size prints and put them on the wall in three rows of three. Or, if you’ve got a shelf, instead of hanging the prints on the wall, lean a larger print on the wall with the shelf supporting it. 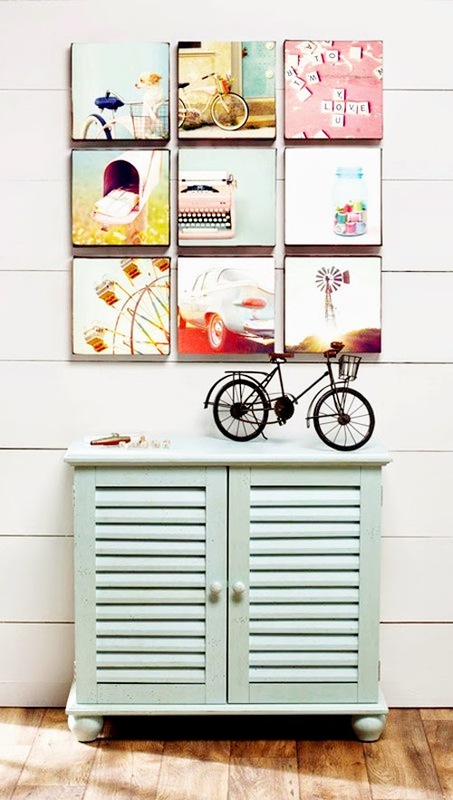 If you choose to go with a more traditional look, you can display three or four prints side by side. To add to the look, you can purchase – or make, if you have the right tools – vinyl quotes that tie in with your picture grouping and have the saying above or to the side of your pictures. You can even use canvas prints to decorate the wall next to the stairs. Select ten or 12 different photos and stair step them up the wall. It’s fun to stop on the stairs and take a look at all the different photos. Instead of printing photos on canvas, you can make your own canvas prints. 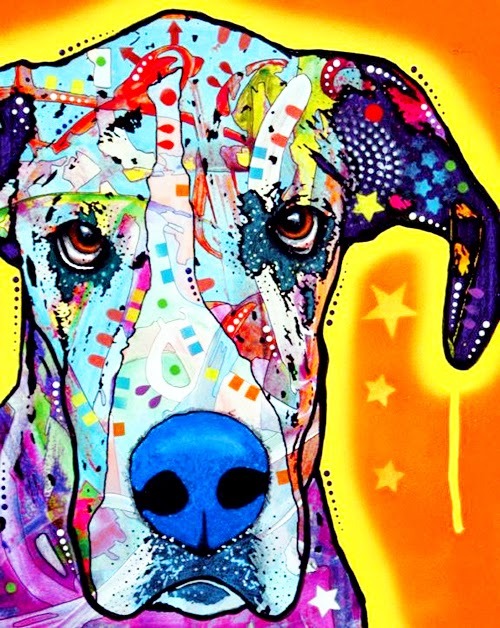 There’s hundreds of different ways you can create your own artwork on pulled canvas. Start with a clean canvas and some paint. If you’re artistic, you’ll be able to create your own wonderful masterpiece to display to your family and friends. If you’re not particularly artistic, you can use paint chips to decorate them or even runny crayons. You can take masking tape and haphazardly tape a few strips to the canvas. Then take your paint brush and paint over the entire canvas, including the sides. Let the paint dry, and then slowly peel the tape off the canvas. If there are any rough spots you can either leave them – for aesthetic purposes, of course, or you can touch them up with your paint brush. Still unsure? Take fabric samples and wrap them over the canvas. Simply staple the fabric to the back of the canvas and you have instant wall art. If you’re just not sure what to do, head over to Pinterest for some inspiration. While many of the ideas were done by talented folks, a lot were done by people like you and me who are good are copying another person’s idea and making it their own. Canvas prints don’t need to be limited to photos. With a little bit of imagination and some creativity, you’ll be decorating those empty walls in no time. Thank you to Danny for sharing the canvas tips! Your idea is worthy of be implementation. Thanks for this.